Mobility that comprises of smartphones, tablets, iPads, wearable technologies and cloud software solutions is transforming everything that comes in its way. Procurement is no exception to this, as mobile technologies have fueled the supply chain with agility, efficiency and convenience that were never seen before. Mobile technologies streamline complete source-to-pay cycle. It would be easy to raise a purchase request, modify it and approve it over the mobile device than on paper. The process workflow gains momentum owing to this seamless transaction, enabling teams to be on the go and close deals faster. Mobility in a way helps to extend the capabilities of sourcing technologies by providing platforms that give instant access to share information. Mobile devices like smartphones, tablets, iPads and wearables have a bundle of features that can help procurement teams to be more efficient. For example, whenever there is an update in the supply chain process, push notifications will instantly alert everyone related to the process. Mobile devices with camera can be used to scan barcodes and QR codes, thus reducing the need for additional hardware and streamlining those tasks that used to be tedious once. Procurement professionals who are away from their desks could use mobile devices to stay updated even from remote locations. If providing a mobile device to each employee is expensive, companies can take the BYOD (bring your own device) approach and set up the necessary applications on their devices. Adoption of mobile procurement is still in its infancy as procurement teams are reluctant towards new technology and their cultural rigidity adds to the woes. Security issues also contribute towards the arrested adoption rates. However, mobility is the way ahead for procurement. Procurement teams have to realize this fact as early as possible and take necessary steps to adapt to the winds of change. Swetalina is a Marketing and Communication professional at Zycus, a leading provider of Source-To-Pay Solutions. 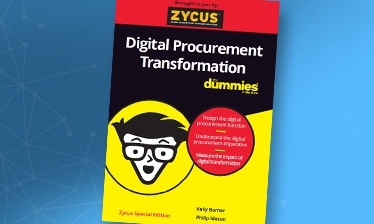 Procurement Objectives 2020: It’s Intelligent to Be Early!